It is pierced and carved with a boy holding a long sprig of lingzhi over his shoulder, seated on a Chiwen dragon with bifurcated fish tail. 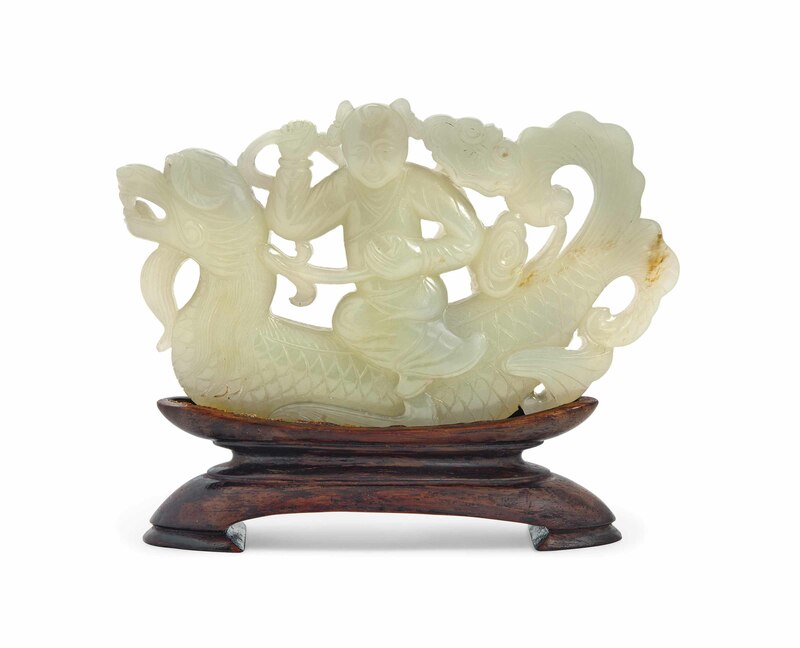 Its mane and scales are finely detailed, the stone is of an even pale celadon tone. Acquired in France on 26 January 1987.